Data is the driver for just about every modern business, and as companies consume more data more intelligently, there’s a need for better community and higher buy-in. DataOps stands to do to data what DevOps did to development. Changing to DataOps isn’t just DevOps though. Whole manifestos center around getting businesses ready to switch the DataOps, but some pitfalls still exist and many businesses fail. Let’s take a look at five common mistakes you could be making with your DataOps and how that could be affecting your success. DataOps isn’t just DevOps applied to data analytics. If you’re using DevOps to iterate and reduce the lifecycle of your data modeling, you’re missing the point. DataOps has a critical component with data pipelines. Think of your system as a factory: Data comes in and is processed through the pipeline set out by the analytics side of DataOps, Agile Development uses that data to accelerate product development, and DevOps continually innovates the algorithms that handle the data pipeline. If you’re stuck on DevOps, you’re missing the other two critical components. Here’s what to do: Adopt the three core branches of DataOps and sign the manifesto. Speaking of treating DataOps like DevOps, collaboration is even more critical when it comes to the data pipeline. Making a move to DataOps requires the cooperation and buy-in of not just your data team, but other departments in your business and significant buy-in from appropriate stakeholders. Without proper collaboration, it can take months to move through your data pipeline and into production. Businesses have to give teams the freedom to collaborate and execute processes themselves. Otherwise, you’re “performing” DataOps in a waterfall environment. Here’s what to do: Bend your silos. Your data scientists need unprecedented access to data that might have been labeled irrelevant ten years ago to produce the kind of scalable solutions you’re looking for. If you’re dealing in AI, this is even more critical as unsupervised and semisupervised systems need massive amounts of data for training sets. If you aren’t allowing the kind of creative freedom your data science team needs to gather and clean that kind of data, you may not get the insights you need. Here’s what to do: Give your data team the freedom to do what it does best. The whole purpose of DataOps is solidifying a culture that aligns with your business goals. As you have access to more data, it can get distracting. Your DataOps must have a plan for aligning every aspect of data collection, cleaning, and insights into a measurable KPI. Cultivating a process that improves speed and accuracy is only useful if you have a method for how to respond to that data. Insights into customer churn can be highly accurate, but if you have no stable framework for contacting those customers predicted to leave, what’s the point? Here’s what to do: Identify your critical KPIs and align your DataOps around those goals. Part of removing the silos is bringing your entire company into the DataOps buy-in. As data begins to drive your business decisions, if your entire workplace culture isn’t on board with data-driven practices, your DataOps initiative may not get the results you’re looking for. For example, your data team now has the freedom and autonomy to run diagnostics, pull data, and build new models, but the predictions in their latest report sit on the product manager’s desk for a month while the bureaucracy of management gets itself together. Not DataOps culture. Or your software team is fully agile, able to pivot and iterate, but your sales, marketing, and management are still operating under waterfall management principles. The software side is taking full advantage of DataOps, but because there’s no move to integrating data into cross-functional teams, all you’ve really accomplished is DevOps. Here’s what to do: Let go of waterfall management across the board and let your teams be cross-functional. You can’t get away with housing the kind of data many organizations now have access to without modifying your company culture and infrastructure to go along with it. So many businesses are blindly implementing data structures and ML/DL initiatives, but if you want to succeed, you need a clear plan and a transformation of traditional business structures. 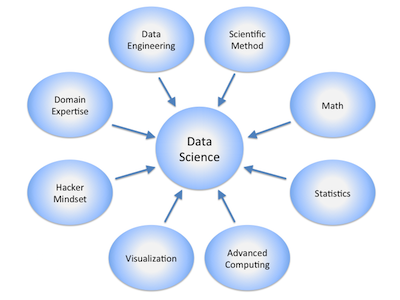 Take a look at what Gil Benghiat, founder of Data Kitchen and creator of the DataOps manifesto says are the essential steps to moving from data science towards DataOps. Editor’s note: Want to learn more about DataOps? 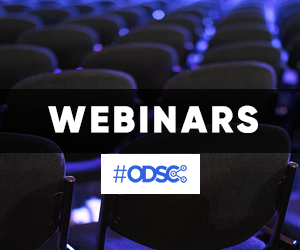 Check out the DataOps track at ODSC East 2019 this April 30-May 3 in Boston and learn from the companies who’ve perfected DataOps!